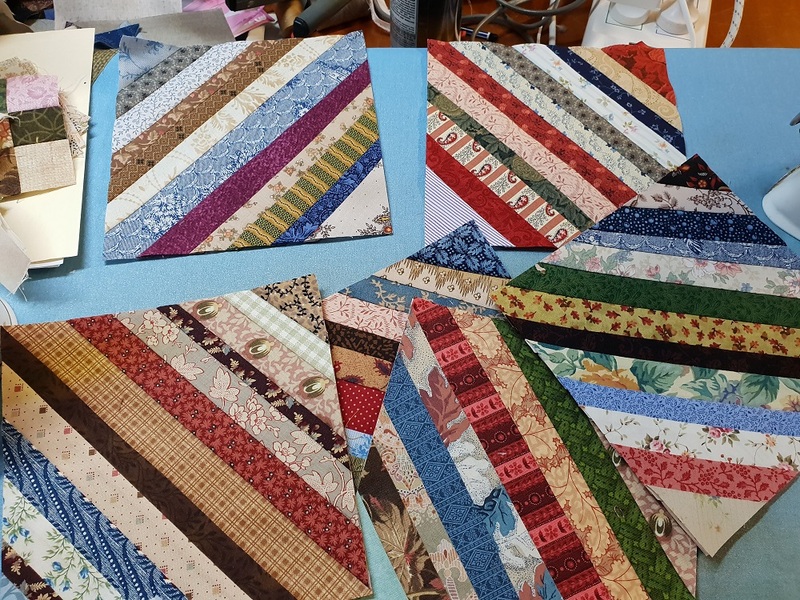 I made a start on the string piecing yesterday, and I really enjoyed it. I don't have to worry about an exact seam allowance, and the 631 just zips along. We're getting on very well together. 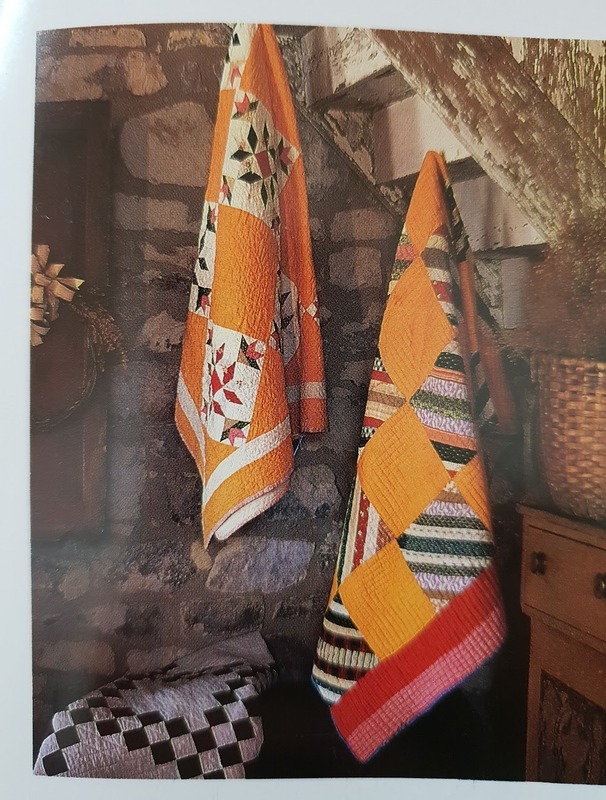 I'm making this quilt, which is a little photo in a very old quilt book. 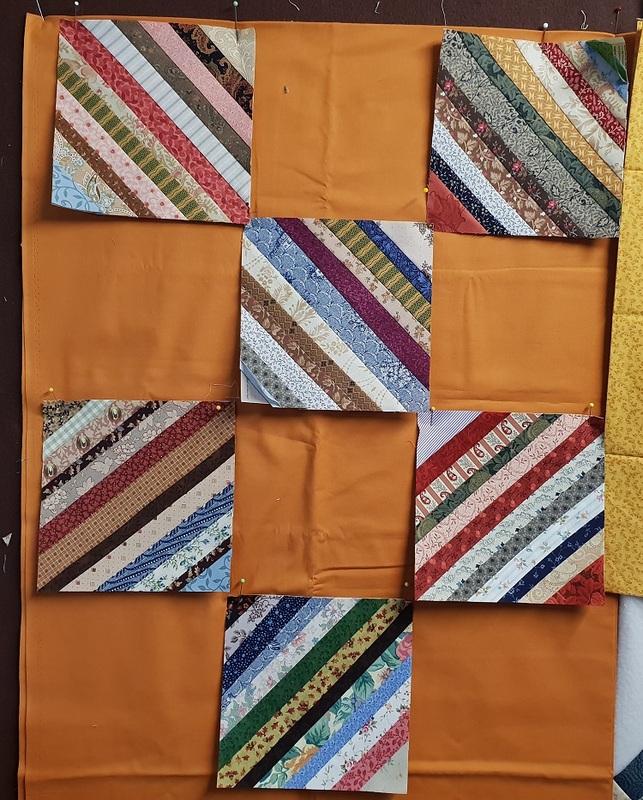 I think I chose this quilt to do because I had a length of this rusty orange, and I wanted to use it up. I rarely use solid fabrics, so I'm hoping that this will behave nicely and make me braver about using solids in future. There's no place to hide your mistakes, those pleats and puckers that happen sometimes; I love plain colours in antique fabrics, and I have a stash, so it's time to start including them. The mess isn't bothering me much so far, but I know that after a while it will irritate me so much that I'll have to pack it away. That's why I want to get as much done as I can before then. I sewed 8 blocks before I stopped, and I'm still full of enthusiasm. This last picture makes me happy. 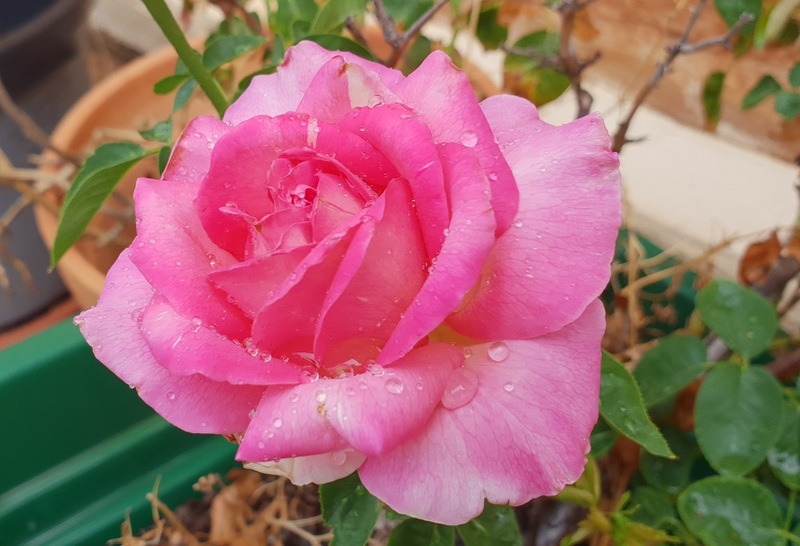 Firstly, my last surviving rose made it through that really hot day, and is even blooming. Second, there are raindrops. We had a spot of rain and it was very welcome. I'm glad summer is giving us a rest from those awful temperatures. Keryn, your string blocks are lovely. 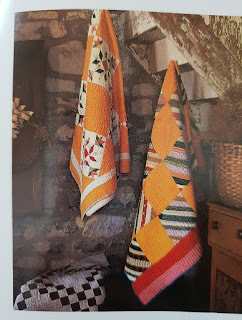 I've been seeing all the string quilts around but none of the patterns have called to me...I like the simplicity of the pattern you've chosen. Your rose makes me happy too...I lost all my roses when I moved them a few years ago. I think this is the year that I have to plant one or two new ones. I miss them! 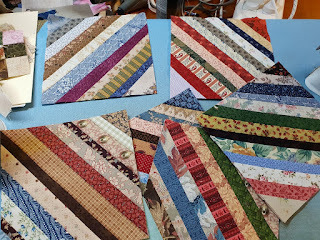 String piecing is so much fun and I've often admired that very same photo. Thanks for sharing. Your blocks are so pretty and they look so nice against the orange. Thanks for the rose picture - it is a nice respite from the dreary winter grays. Lovely rose photo, and the strings look great, everywhere you look online, people are sewing strings. Hello again! A few years ago I made a string quilt just like yours with cheddar color alternate blocks, except it was a print I had forever. 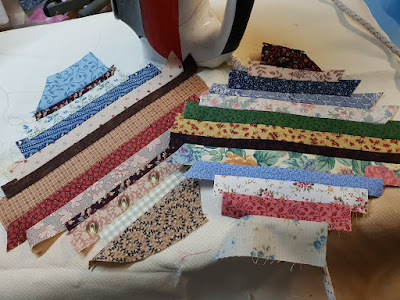 I think the string blocks were 9" to use up ugly fabric & muslin squares already cut. I also made a quilt that put strings across center wedge of fabric ironed in thirds from one corner. I filled the side wedges with more cheddar. It really turned out interesting. Happy sewing!